So you have been making gallant efforts at increasing your eCommerce website conversion rate. You are bleeding money on acquiring that all-important traffic, are trying to outwit Google at cracking its ever-changing search algorithm and are anxiously checking your traffic sources, lest they dry up. But if we look at the end objective of these exercises (read: increasing revenue), there’s a simpler and less agonizing way to achieve that – increasing your Average Order Value (AOV). The first tactic is to offer free shipping on orders which are a slightly more than your current AOV. I say ‘slightly’ because free shipping is a tricky subject. You’ll end up increasing the AOV, but the additional shipping charge could reduce total transactions. Deloitte says 40% of customers are willing to buy more items if they qualify for free shipping. But there’s also a lot of research to suggest that the lack of free shipping is the biggest reason for cart abandonment. 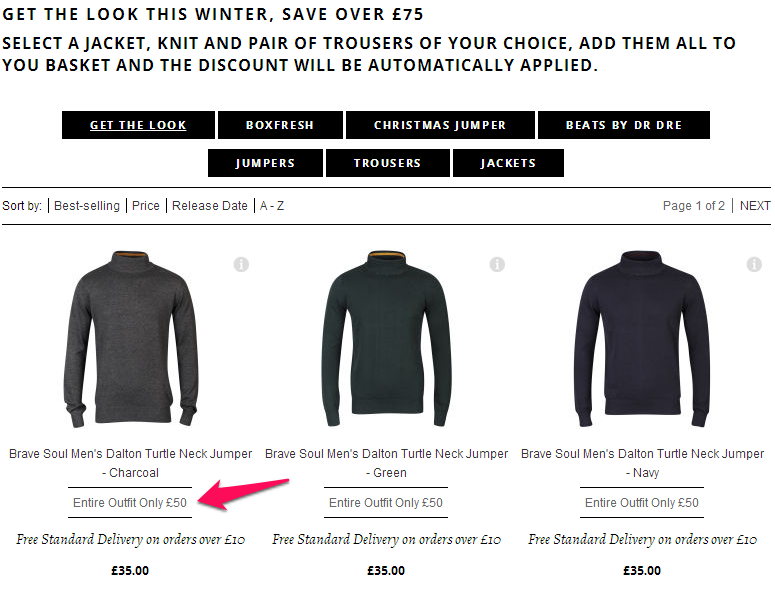 A/B test between completely free shipping and one that is free after a minimum order value. The metrics to watch closely are AOV, number of sales, revenue and cart abandonment rate. So you are planning to extend that generous 20% flat discount to clear all your dead stock? Improvise. Tell them they will get the discount on a minimum purchase of $50 or $100 or whatever figure sufficiently makes up for your lost margins in giving that discount. Give some, take some. Shoppers tend to procrastinate and mull purchase decisions. To continue our above example, adding a limited duration to the offer can create a sense of urgency among visitors and encourage them to buy more in one go. For example, ‘Get 40% off on all products’ might motivate the visitor to browse the products. 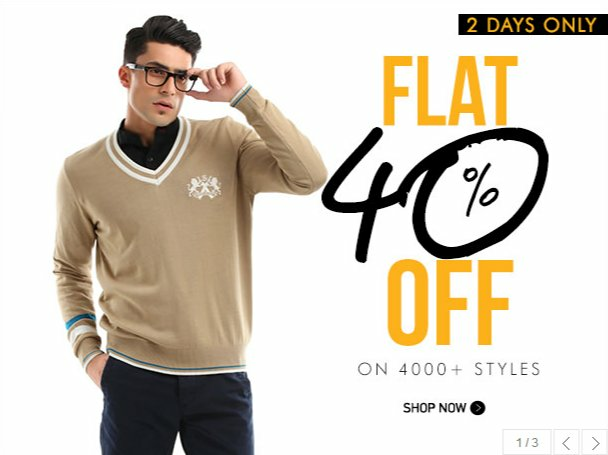 But when you say ‘Get 40% off on all products for next 2 days’, it compels them to act right away. Offer discounts on bulk purchases of the same product. Paperstone, an office supplies company, used Visual Website Optimizer to launch a bulk discount deal on its website. It ran an A/B test and found the bulk discount deal increased its average order value by 18.94% and revenue by 16.85%. But before you get carried away, a word of caution. You have to determine the right discount value that attracts customers and at the same times doesn’t throttle your profit margins. Upselling, if implemented intelligently, is a great way to increase the value of an order. If a visitor is eyeing that 320GB Windows 7 laptop, just throw in the gleaming photo of that 500GB Windows 8.1 laptop on the side. Simply put, upselling is offering a similar but more expensive variant of the product to the buyer. Again, don’t be foolhardy in blindly following this advice. Don’t try to maximize every transaction and throw in random products just because you have them. Don’t be like one of those aggressive salespersons trying to sell the entire catalog to someone who hasn’t even made their first purchase. Check this article go know more about the right way to upsell. Purchasing that 500GB Windows 8.1 laptop? Would you need a laptop bag with it? Or perhaps a USB drive? This is precisely cross-selling. Soft selling complementary or additional products to a customer. While cross-selling has always played second-fiddle to upselling (thanks to this study which shows that the latter is 20 times more effective than the former), its virtues can’t be ignored. What you need to keep in mind is that the suggestions need to be relevant. A person buying a laptop will need a laptop bag, not necessarily a DSLR. A package deal or a combo offer is a cool way of selling two or more related products at a discounted price. It’s convenient for the customer, a great way to move your slow moving goods and mostly importantly increases your average order value. The Hut offers a pretty smart discounted price on clothing bundles. Going with the stereotype that most men don’t enjoy shopping and prefer to get all their stuff quickly, The Hut’s offer is well targeted. Always give something to the customer and they will merrily return the favor. Whenever they make a purchase, either give them reward points through a loyalty card, gift vouchers or a cash back offer. Anything that is redeemable on their next purchase of a minimum order value. An example would be offering a $5 cash back offer on their next purchase worth $40. Or giving a free gift voucher worth $10 on an order above $60. Apart from ensuring a second-time visit and fostering customer loyalty, it increases the order value. The customer tends to buy more in order to experience that all-important gratification that comes after having bought something for free (intended oxymoron). Don’t implement all these tips at once. Too many people have ignored your do’s and dont’s! Thanks for this, we’re in the process of setting up an e-commerce site and as soon as we have some data, I’ll be looking to implement some of these techniques to increase AOV. Thanks Matt for being an exception here 🙂 And all the very best with your website. Extensive A/B testing is incredibly exciting (or is it exciting just to me? ), especially when you can say to a client, without a shadow of a doubt, changes that were made increased conversions by XXXX amount. I love the tips here, creating the right incentive is an art form but taking peoples ideas and trying them out can yield some interesting results! Great article, just one question though. Specifically, how would you implement the test for suggestion 1 – the free delivery threshold? Super great information. Thank you so much for sharing!! It was ultra helpful. Great tips. The most important thing is to a/b test. Some of the tactics may be good for a specific store some may be bad. Only testing gives you the answer which starategy is the best. Keep in mind that good visual communication of those techniques is also important, not only the fact that you use them. Meanwhile – loved your simple basic sensible tips that i shall definitely keep in mind… and implement.. not all at once! Really great tips here. a/b testing is always hard to sell to clients but this has given us some great information we can take back. Lots of sensible tips we can use. Thanks for sharing, great information to take away from this. Split testing is something clients should do more of, but never seem to do.